AGHA Sydney Gift Fair is almost here! With exciting new buying categories introduced for the very first time in 2019, your customers can now enjoy more variety and choice than ever before. Explore 1000s of local and international brands across 13 huge retail product categories including Smart Living, Australian Made, Baby and Child, Play, Learn and Grow, Health and Wellbeing, Outdoor Living, Home and Interiors, Entertaining and Dining, Give a Gift, Occasion and Celebration, Sustainable Living, The Fashion Edit and Retail Services. With plenty of new exhibitors to see in 2019, source from 1000s of undiscovered products that will delight your customers. If you’re looking to get an edge over the competition, visit The Launch Pad in Halls 3 & 4 to find fresh and innovative brands making their industry debut. Meet with Australia’s most sought-after brands and experience the best of the industry in Design Life. Exclusive to AGHA Gift Fairs, this premium buying experience is for first-class retailers seeking distinctive ranges with a designer touch, plus everything new in interiors and design. 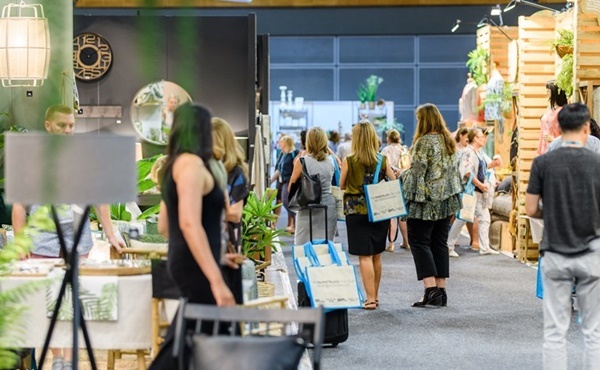 Join thousands of retailers, corporate buyers, designers, stylists, specifiers and retail industry professionals at this essential retail buying experience. Don’t forget, there are several free and easy ways to get to Sydney Olympic Park including FREE visitor parking* each day (*conditions apply). If you haven’t visited before, register online in four and easy steps and secure your unique fast-track entry badge. It is free and only takes 2 minutes. If you have visited before, you just need to confirm your details for 2019. Don’t wait, register today or confirm your details here. AGHA Sydney Gift Fair is held from 23-26 February 2019 at Sydney Showground, Sydney Olympic Park.